"Today’s dynamic business environment requires real-time communication solution with anytime, anywhere access. Business communication often fails in keeping pace with these demands due to complex architecture and rigid interfaces. Matrix presents VARTA WIN200 - The UC Client, redefining communication experience with its variety of collaboration features and intuitive user interface. Powered by MATRIX SARVAM UCS - Unified Communication solution, VARTA WIN200 empowers users to switch or extend the extension to their desktop computer. 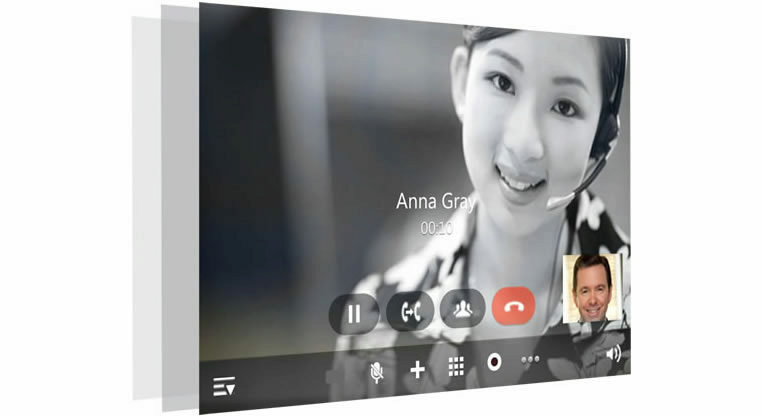 It offers real-time features such as Video Calling, Presence Sharing, Instant Messaging, Drag-and-Drop Conference and BLF Keys (up to 600). The VARTA WIN200 elevates communication effectiveness and business productivity to the next level." Further, Matrix takes mobility experience a notch higher with VARTA ADR100/VARTA AMP100 – the UC Client. Powered by Matrix SARVAM UCS, the softphone enables users to access all the facilities of their desk phones from their Android or iOS based smartphones or tablets. 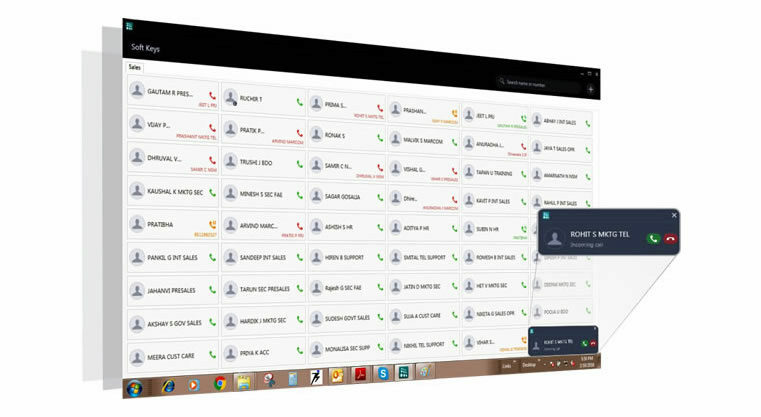 The mobility extension offers a line of features such as Video Calling, Presence Sharing, Instant Messaging, One-Touch Handover and Corporate Directory Integration. The VARTA ADR100/AMP100 uplifts communication effectiveness and business productivity to the next level. VARTA WIN200 brings all of your communication needs together in a single client making it an easy solution for users. With Corporate Directory Integration and Pop-up Notification, VARTA WIN200 empowers users to switch or extend extension to desktop computer. It delivers IP telephony solution to your desktop computer, complementing it with call handling and convergence capabilities. Avail benefits of same extension number through integration of VARTA WIN200 with your IP Desk phone or Mobile App. Access all contacts easily with Corporate Global Directory Integration. VARTA WIN200 provides flexibility by allowing users to access services at any time in any place. Services are tightly linked to the user, providing unique levels of personalization and control over the communications experience leading to enhanced productivity. An example is the ability to access voice mail, text and instant messages from a single interface. VARTA WIN200 is a Business Mobility Solution, which enables employees to get complete access to enterprise communication features on desktop computers. This in turn extends connectivity for employees, allowing them to stay in touch with business communications and enhance customer responsiveness. VARTA WIN200 offers new flexibility and manageability across Windows Desktop platforms to deliver exceptional levels of connectivity for the distributed workforce. It unravels communication bottlenecks, ties together applications with a simple user interface and supports closer collaboration across enterprises. It also provides competitive differentiator by enabling employees to reach others quickly and eliminate delays to reach key decision makers. With features like Contact grouping and Favorite Contacts, VARTA WIN200 enables users to personalize interface providing substance to solution. Search Dial Pad allows typing contact name or extension number directly, making it easy to use and manage. Intuitive icons and Graphical Designs enable users to identify and control features instantly, making it easy to use. Personalize your interface by marking favorite contacts and contact grouping for quick connectivity. Get Call Logs and incoming Call Pop-up notifications for customer convenience. 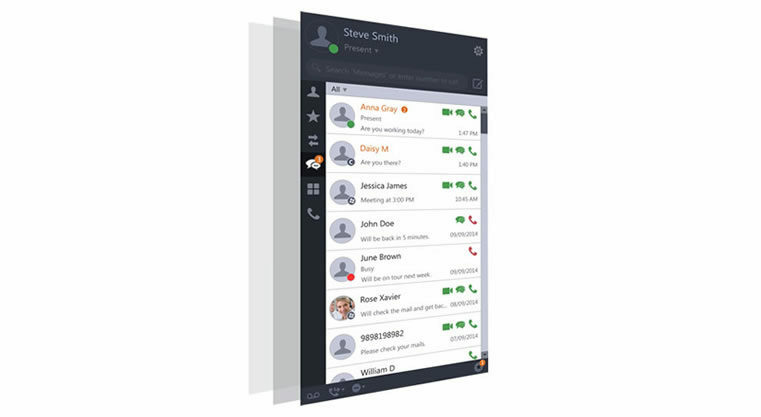 Use Existing Outlook for Calling, Instant Messaging and Presence Sharing, synced with UC Client VARTA WIN200.